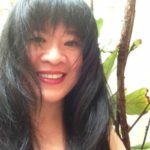 Geraldine Heng is Perceval Fellow and Associate Professor of English and Comparative Literature, with a joint appointment in Middle Eastern studies and Women’s studies. She holds the Perceval Professorship, an anonymously-funded endowment that was created to support her research and teaching. Heng’s research focuses on literary, cultural, and social encounters between worlds, and webs of exchange and negotiation between communities and cultures, particularly when transacted through issues of gender, race, sexuality, and religion. She is especially interested in medieval Europe’s discoveries and rediscoveries of Asia and Africa. Her first book, Empire of Magic: Medieval Romance and the Politics of Cultural Fantasy (Columbia UP, 2003, 2004, 2012), traces the development of a medieval literary genre—European romance, and, in particular, the King Arthur legend—in response to the traumas of the crusades and crusading history, and Europe’s myriad encounters with the East. Her second book, The Invention of Race in the European Middle Ages (Cambridge UP, March 2018), questions the common assumption that race and racisms only began in the modern era. Examining Europe’s encounters with Jews, Muslims, Africans, Native Americans, Mongols, and the Romani (“Gypsies”) from the 12th through 15th centuries, the book shows how racial thinking, racial law, racial practices, and racial phenomena existed in Europe before a recognizable vocabulary of race emerged in the West. Analyzing sources in a variety of media, including stories, maps, statuary, illustrations, architectural features, history, saints’ lives, religious commentary, laws, political and social institutions, economic relations, and literature, the book argues that religion—so much in play again today—enabled the positing of fundamental differences among humans that created strategic essentialism to mark off human groups and populations for radicalized treatment. The volume also shows how race figured in the emergence of homo europaeus and the identity of Western Europe in this time. Heng’s third (short) book, England and the Jews: How Religion and Violence Created the First Racial State in the West, also with Cambridge, is currently in production. She is completing a fourth book: Early Globalities: The Interconnected World, 500-1500 CE.